A Tees Valley tech entrepreneur has said he plans to continue his growth plans thanks to the help of a DigitalCity support programme. Fourteen tech companies from across the region have recently completed the DigitalCity Scale programme which works with ambitious businesses to help them scale and grow their businesses through innovation. 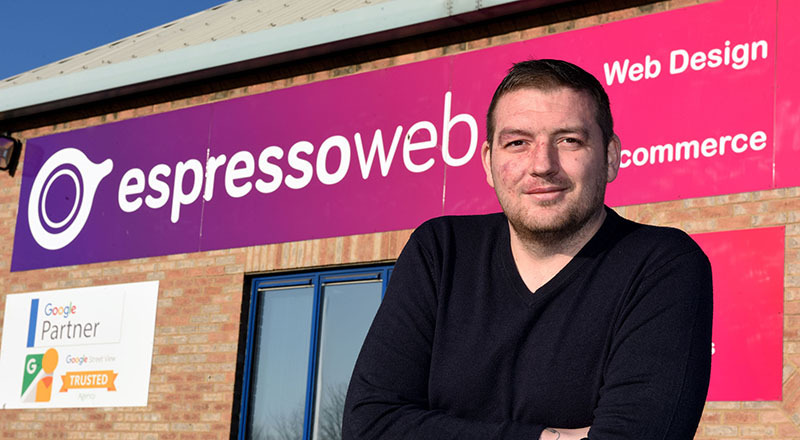 Stephen Robinson, the director of Middlesbrough-based digital marketing agency Espresso Web, said the course has given him the confidence to continue with the growth of his business as he plans to expand his company to 50 people this year. DigitalCity Scale is a three-month programme which was designed specifically for ambitious businesses in the digital and technology sectors who demonstrated high growth and potential for scaling. Entrepreneurs on the programme were paired with a dedicated business mentor to help formulate a bespoke action plan to help them realise their business aspirations. There were also regular fortnightly sessions which heard talks from business leaders and covered a range of topics including Intellectual Property (IP) development, strategy formation leadership and finance. Stephen Robinson co-founded Espresso Web in 2012 and the company has recently undergone an expansion to 32 staff. He took part in the DigitalCity Scale programme in order to help with the next stage of his company’s growth. The programme’s been extremely useful as it has helped confirm that we’re heading in the right direction...giving us the tools to help us grow and knowing when we should implement them at the right time. 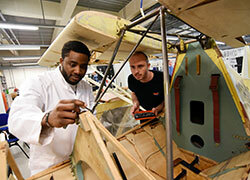 He said: 'The programme’s been extremely useful as it has helped confirm that we’re heading in the right direction. 'It’s not about saying we should do a particular thing, but giving us the tools to help us grow and knowing when we should implement them at the right time. 'It’s certainly helped confirm our three-year plan. 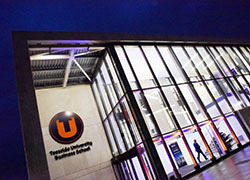 We’re planning on growing to 50 staff over the next year and this will really help us scale the business. 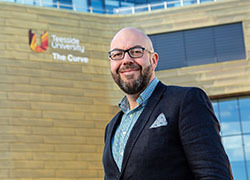 DigitalCity Investment Programme Manager David Dixon said: 'The Scale programme gives businesses the tools to meet the challenges which accompany growth. A second cohort of DigitalCity Scale is due to start this Spring. Any SMEs who would like to take part should email info@thedigitalcity.com for more information.